Warm your creative soul with photo encaustics! 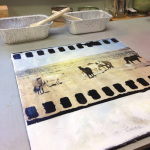 Cool weather is on its way and it’s time to warm up with a new encaustic class… PHOTO encaustic! Taught by Langley artist Kim Tinuviel, this two-session workshop, on Friday evening Oct. 24 and Saturday Oct. 25 will introduce you to the techniques and possibilities of combining your photography with the encaustic medium. 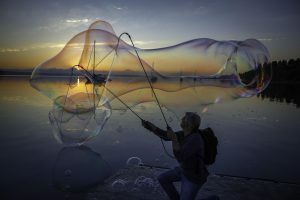 If you have some interesting photos you’ve taken and have been wanting to do something artistic with them, this class is for you. Using ancient encaustic techniques, we learn how to collage and transfer photographic images onto (and into) beeswax surfaces. We’ll be working on both wood and clay as substrates and all basic materials and equipment will be provided. All you need to bring is your printed image(s) and any other ephemera or mixed media you desire. Upon registration, you’ll receive instructions for preparing your images (size, paper type, etc). Won’t you please join us for this fun and intimate workshop? Cost is just $125 for early registration. Visit http://www.kimtinuviel.com/classes-and-workshops for details and call 360-639-4299 to register. Please register by Oct. 16 for the best value!